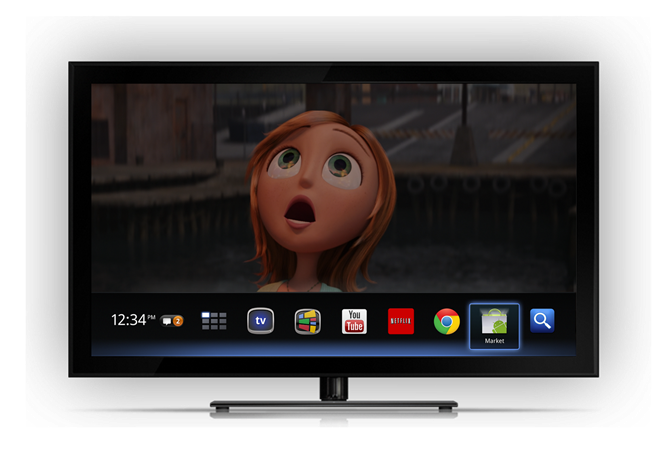 Logitech may have said that launching the Revue was "a mistake of implementation of gigantic nature" and that it has chosen to ditch Google TV entirely, but it has, thankfully, decided against reneging on its promise of one more software update. And, yes, said software update is exactly the one that was shown to us back at the end of October: the one that brings an updated, usable interface and - drumroll please - Android Market integration. Indeed, as indicated in the above tweet from the official @GoogleTV Twitter account, the update will be rolling out in the next few weeks, just as promised. It (hopefully) won't be long now, Revuers; soon you'll be switching to the all-new TV & Movies app from the Android Market using nothing but your handy-dandy app tray.